We need some sunshine now the day starts before the Sun is up! It’s pitch black when I get up to make a very noisy but healthy smoothie for the kids before school. 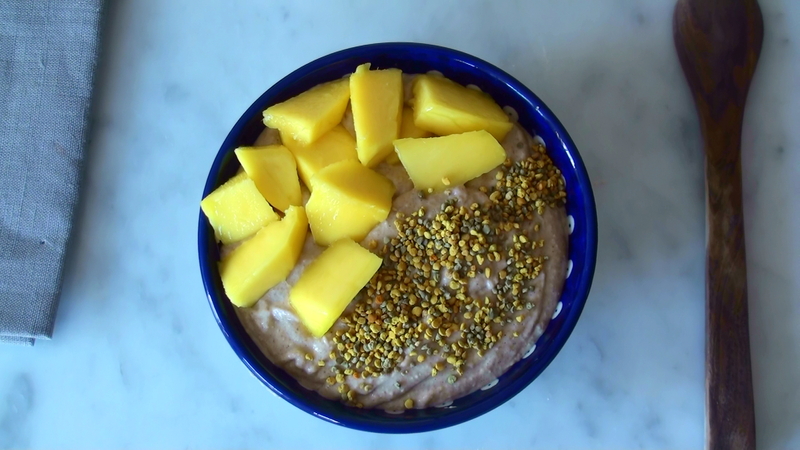 They also want gluten free flakes for breakfast, but now and then I make this raw, sweet, delicious and very filling porridge! 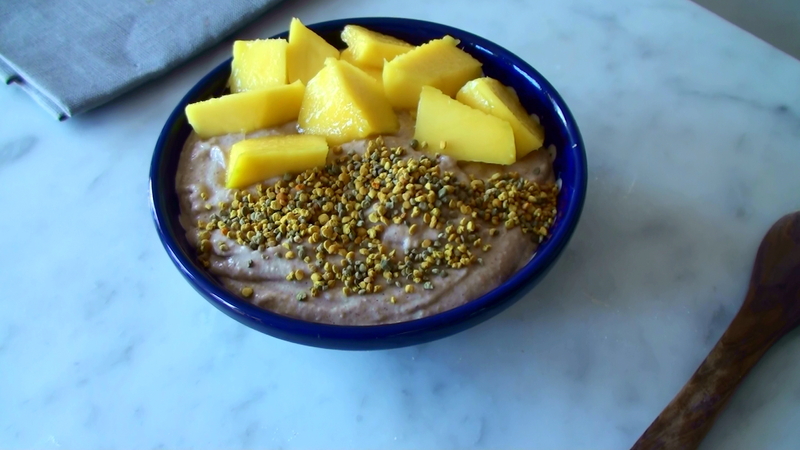 It comes with life affirming, yellow sunshine granules in the form of bee pollen!